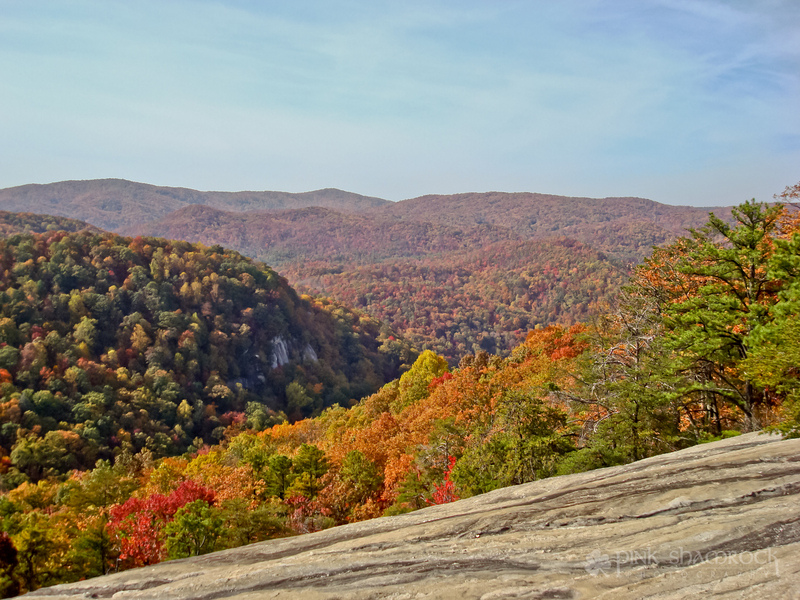 “Foliage Overlook” – Fall foliage in Table Rock State Park, SC. Despite the lack of foliage locally, South Carolina’s “upstate” boasts beautiful color every year. This shot was taken several years ago in Table Rock State Park, located just outside Greenville. I’m hoping to travel to this gorgeous location again soon–fingers crossed! Thanks for stopping by today (did you miss me? 😉 ) I hope that you enjoyed today’s post, and as always I love hearing from you so feel free to leave a comment below. Happy Fall! This entry was posted in Autumn, Colors, Foliage, Landscape, Photo of the Day, Seasons, Travel and tagged autumn, colors, Erin Duke, fall, Greenville, overlook, photo of the day, Photography, photos, Pink Shamrock Photography, SC, scenery, scenic, september, South Carolina, Table Rock State Park, tree, trees, upstate. Bookmark the permalink. That’s a beautiful shot of the colours to come. So happy to see you back Erin!! What a GREAT shot to kick off the fall season with, incredible colors here in this one my dear friend!